WHAT IS HAPPY KIDS KLINIC? Happy Kids Klinic is a kid's health promotion platform that works on the benefits of training correct breathing patterns and muscle balance of the lips face and tongue. Initially, that may sound weird and a little far fetched ("duh, my kid already breathes!") but actually people are often surprised to learn how much breathing and the position of the lips and tongue can effect a child and their general wellbeing, check out the kids on the video to see some of the results. Of course, we don't claim to have all the answers but we do have a stack of experience working with kids and seeing first hand the benefits they get from a little bit of dedication to some really simple ideas and exercises. We offer two main programs; The Lip Seal Breathing Program, an educational and practical breathing optimisation program, plus Face Gym, a program with a proven track record of results to re-educate the lips, tongue and facial muscles. These programs can be done in person, via Skype consult, or if one to one isn't for you we have two simple online breathing programs. A simple 3 month health promotion program to improve breathing habits. Delivery is face to face in person or on Skype, consisting of 3 x 45min sessions over 3 weeks and a further 2 months of self-directed exercises with regular one on one check ins. A 2 month program of exercises to strengthen and stretch the face muscles in order to improve lip, tongue and facial muscle positioning. Delivery is face to face in person or via Skype for 20 minutes a week over a minimum of 8 weeks. An online program giving the basics of both Lip Seal and Face Gym for an affordable price. Online videos, manual and exercises provided with the option of one to one check in sessions as required. Option of adding a one to one session with your program. The Happy Kids Coaching Model, where the bullseye is the outcome we're looking to achieve: better rested, more focus, more energy and robust health. All our programs work on the basis of Education + Understanding = Action. In other words, we aim to motivate and educate kids on how to get what they want and how our programs help. All our programs use outcome measurements (before and afters), have structured timelines and are based on the best possible evidence we can find. The Giving Back Program exists to provide families in need a chance to experience a breathing retraining program where hardship may ordinarily restrict their participation. Programs are limited to a maximum of two per month and a subject to an application process. Click here to find out more or to apply. Thanks for subscribing! Each month we send out a kid/parent based podcast to our list before publishing it to the website. Now you'll be first in! Happy Kids founder Cole Clayton has a special interest in athletic performance in young people stemming from his own experience with burn out/chronic fatigue as a youth. Firstly, oxygen is a key ingredient for producing energy in the body. Without efficient delivery of oxygen to the cells the body can feel drained and depleted. Secondly, the function of the lips, facial muscles and tongue position are important to postural stability, balance and body awareness and thirdly, correct breathing and function of the face is critical to mental focus and performance. These form the basis of performance at Happy Kids, if they're not functioning well then we believe they need to become the baseline for all conditioning; physical, biochemical and mental. Once this platform is established a careful approach to conditioning, diet and tools to assist mental acuity can be established. If these things are ignored it's possible to head the way of many talented young athletes - overtraining, recurring injury and burnout. We have over 15 years experience in corrective and performance based exercise, coaching and nutrition and lifestyle support, which when applied to athletic performance in kids is not the quick path to glory, but a sustainable pathway into fulfilment of current and future potential in sports and life. Our programs involve coaching in the three key areas of the physical (posture, stability, movement and strength and conditioning) nutritional (what to eat and when) and mental (dealing with being human and the added pressure of performance). Sessions are monthly with homework in between or you can sign up for a committed coaching program which involves more frequent contact and resources. Interested in signing up? Book an initial consult. How does each program work? Breathing and Face Gym programs work because they relate to really key control systems of the body. Breathing is vital to survival and so is the ability to chew and swallow. Without these vital functions the body can be compromised. This means that if there is a problem with breathing or swallowing the body has to change somehow to preserve function! So our programs help to control, improve and regulate these key systems and often result in happier kids because there's less need for the body to compromise. We often also work with other practitioners as we freely admit to not knowing or being able to solve it all, some cases are more complex than others and need extra help! Each of our programs work on the basis of "re-training" the brain to either breathe better or have better lip and tongue control, this means the affects last 24/7 and should stay long after the program is completed. The developing brain can really thank you for this as almost 40% of "brain power output" is directed towards this area of the body and a compromise of breathing can even result in less oxygen delivery to the brain! So in a nutshell, it's about simple strategies targeting key control areas and creating a better environment for the body to regulate itself from the inside out. 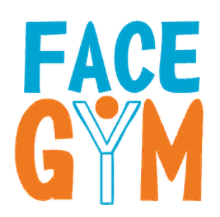 3 months for each program, Face Gym has a little more contact time than Lip Seal. See our Purchase Programs page for all the costs. Is it claimable on my health fund? No, due to us being a coaching/health promotion service we're not eligible to be registered with health funds. Value is an interesting thing to measure as it's impossible to predict what could happen or would happen if nothing was done. What we've seen over the years though, is the programs really return a great deal of health and happiness for a very small investment especially when combined with other therapies such as dental, speech and manual therapies. What results will I typically see? IS THIS breathing THE SAME AS BUTEYKO BREATHING techniques? No. Although there are some similarities, our programs are not associated with the Buteyko breathing method or Institute. We do have some friends who are, and who we collaborate with time to time, but we've developed our own style and method of delivery based on our background in corrective exercise, performance, health promotion and research projects. WILL IT HELP WITH ASTHMA? Now to the tricky questions! In a nutshell, no. This might seem like a strange answer to give, but it's simply not true and unfair to promise it will do anything at all for asthma. To say a program such as Lip Seal will definitely help with asthma is misleading as asthma is a complex, systemic and serious health issue. Having said that, there's no doubt that asthma is a condition that involves breathing, so helping breathing and tongue function must help right? Often yes, but not always, it all depends on the history, diagnosis and current treatments. Participation needs to be considered by you and your doctors as part of the ongoing management and importantly, not placing any "eggs of expectation in this basket" in other words bring an open mind, but understand there may be no change in the base asthma diagnoss. We are happy to share with your managing health professionals what we do and why, plus the research we base our programs on to determine if breathing or oral myology programs may be of benefit. Just have them contact us. CAN THIS BE AN ALTERNATIVE TO HAVING TO GET MY CHILD'S TONSILS REMOVED? No. These programs are not intended to replace specialist medical care and should not be viewed as such. There may however be a place for them to assist, particularly after surgery, but each case needs careful assessment and planning in consult with your Ear Nose and Throat surgeon and GP. Enlarged tonsils and adenoids can be a serious health problem and should be treated as such. We understand that, and disagreement about the benefit of these programs is actually one of the main reasons people don't go ahead. These programs require consistency and some self directed discipline and motivation so it's important that all stakeholders are switched on to the idea including parents, kids and carers. For kids of separated/divorced parents that move between homes we've found it is particularly important to be on the same page. So if there's an issue "getting someone onside" we suggest holding off until they're in, if not with both feet than at least one! Show them the website, research the internet or have them book a 15 min consult to go over their concerns. Ultimately this is worth it as the outcome when everyone is committed is almost always better. Can i still do an atheltic program if i'm not at the elite level? Countless hours of post-grad and industry courses as well as certificates in personal training and remedial massage. Plus three kids of my own. The long way round!! The story involves exercise "gurus", my own postural and breathing problems, dentists, chiropractors, osteopaths and beating myself up for years for not "knowing enough". My own breathing and learning problems as a kid allow me to identify acutely with kids going through the same thing and one of my main motivations for this work is so I can give kids the help I wish I had. Submit the form below and we'll be in touch to arrange a free 15min consult. You can also use this form for any other queries. I remember being told at school I had "potential" but was "lazy". It took my Mum ages just to get me out of bed, and me ages to actually feel like I was awake everyday. I also struggled with a constant "cloud" or brain fog, inability to concentrate and a general apathy and disengagement. It wasn't until I was 34 that I discovered all this was in large part due to the way I breathed while I was sleeping! In three short months I'd completely changed, retrained my breathing and had a whole new energy and motivation! Only catch was that it had taken 20 years to figure that out via visual arts, fitness, corrective exercise, nutritional programs and self enquiry. So I had a trail of ideas, discoveries and experience to finally weave together by understanding what the ancients taught us thousands of years ago; breathing. It would be great if that was the end of the story and it all ended happy ever after, but life is funny like that and I still had more to learn, from dentists, chiropractors, osteopaths, medical doctors and oral myologists. Slowly the pieces came together and while trying to sell my video production services to a room full of people (what???) I finally realised that it was time for the Happy Kids concept to get out of my head and into the world, it's been supported ever since. By far the most important teachers are my own kids; Mia, Jarrah and River. Not only do they give me the genuine empathy required to work with kids and their parents but they all have helped me develop trust and confidence in my skills. Mia with breathing, River did the Face Gym program for her finger sucking and Jarrah seems to be in my perennial young athlete program! I'm based in Lennox Head where I'm continuing to juggle work and family while studying towards another massive life goal: finishing my training in Osteopathy.